Final 7 was SUCH a thrilling read from beginning to end. It is tense and full of action, taking plenty of twists and turns along the way. Picking up just where Day 7 left off (don’t worry, there are no spoilers from me! ), I found it really easy to pick up the story and fall back in step with these wonderful characters and thought provoking story lines and was compelled to keep reading Martha’s fight against social discrimination. My absolute favourite thing about these books is the way in which they explore social class and discrimination. I am always interesting in how social class affects various aspects of all our lives and these books really don’t shy away from that. After reading each book in this trilogy, I have had to take some time to sit and think about them carefully and some of the themes and messages they hold within. These books are really powerful in their message of speaking out and standing up for what we believe in and what can happen if we just standby and allow things we believe are wrong to continue. Martha, Max, Isaac, Cicero, Josh and Eve are all fighting against the tide for what they believe in and along the way have to make huge sacrifices for themselves and others. It’s made really clear from all angles that making your voice heard is not the easy option but they don’t stop their fight and I found that really thought provoking and inspiring. There’s also the huge amount of corruption within government and from the media that goes on in this book which I think is so incredibly relatable to the world today. The idea that money is power is something I have always struggled with because it doesn’t sit well with me but unfortunately it really is quite true. There are some really despicable characters in these books who I really loathe (no names for fear of spoiling!) but they were so necessary to this story and really evoked a lot of emotion in me. Something I’ve loved all the way along this series is the structure of the books as this is part of the reason (aside from the compelling storyline and excellent writing) these books are such fast paced reads. I love how they flick between different perspectives and also how we get the glimpses of the infamous TV shows televising death row. The glamorisation of death row is really unsettling in these books and I would like to think that if I found myself in this dystopian version of our world that I wouldn’t get sucked into this sickening reality television but the power of the media in these books and the hold that it has over the public is terrifying. I ADORE these characters. Their strength, compassion and drive for what they believe in is something I truly admire. They are all flawed in their own way and that is something else that I love because it is real. There are moments in this book where the characters made me laugh and also where they broke my heart – one loss in particular in this book really deeply upset me but I can also see how that death was necessary to the plot. Most of all though, these characters made me feel empowered. They made me want to use my own voice more to stand up for what I believe in. I’m not sure I would have all of Martha’s strength, or all of Eve’s drive and compassion, but if I could use just an ounce of it I would be proud. My final thought on this book was THAT ending really makes me want more and I’m sad that this wonderful, thought provoking trilogy has ended. If we could get a novella from Sofia’s POV I’d be all over it! *cough* I definitely think there’s room for more from these characters and I’m excited for what Kerry Drewery will write next! Thanks to Hot Key Books, NetGalley and Kerry Drewery for my advanced copy in exchange of a fair and honest review. 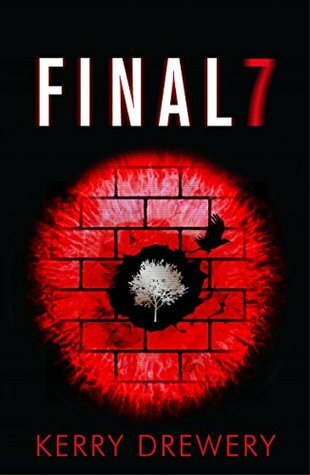 Have you read Final 7 or any books from the Cell 7 trilogy? What are your favourite YA books that explore social class?